Brand new, bare icemaker with cover. Designed to use the existing modular icemaker wiring harness, RIM900 will replace most of the 120 VAC modular icemakers on the market today. 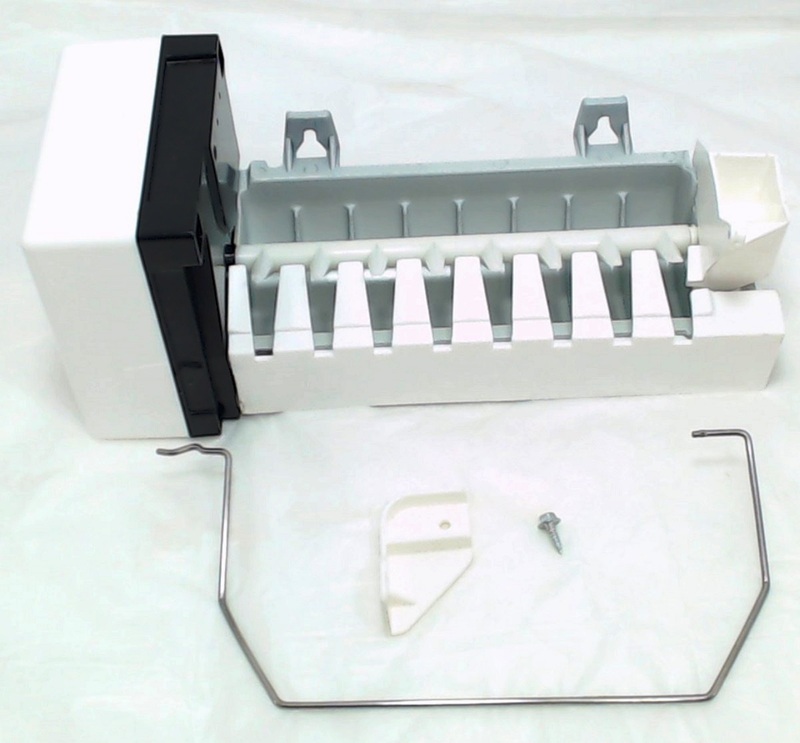 This unit can replace the Amana®, Maytag® D7824706Q or the W10190965, use old wiring harness. Replaces Part Number: 8114, 0056504, 0056599, 0056605, 0056606, 311155, 312578, 312738, 10563707, 10563708, 61005508, 67001263, 312739, 312740, 480616, 480617, 4210317, 4211173, 4317943, 10549201, 482014, 482015, 482016, 482017, 482018, 482019, 482020, 482394, 482433, 482990, 625601, 625603, 61005508A, 68111-1, 68972-1, 68972-4, 625610, 625611, 625622, 625625, 625653, 625656, 625660, 626002, 626201, 626237, 626366, 626461, 626489, 626608, 626609, 626626, 626636, 626670, 627572, 797991, 68972-4, 95091-1, 95098-1, 95109-1, 833701, 840991, 853522, 941554, 978552, 978553, 978556, 1105299, D7767601, D7824701, D7824702, D7824703, D7824704, D7824705, D7824705Q, D7824706, D7824706Q, R0154025, R0156628, R0156629, R0156629, R0156669, R0161059, R0161061, R0183135, R0194462, R0194666, R0950064, W10122496, W10122519, W10190952., W10190978., Y689724.